Bebegarten is a place for children to explore, discover, and learn about the world we live in. 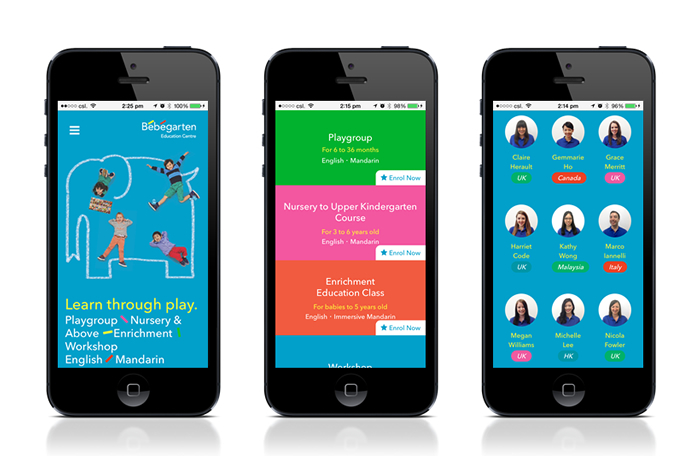 We have redesigned a responsive website for Bebegarten Education Centre. We used time-lapse videos to capture their playful and enriched learning experiences, as well as to showcase their spacious activity areas and classrooms where children can learn through play. The identity is designed by Sandy Choi Associates Limited. Visit Bebegarten Education Centre here.